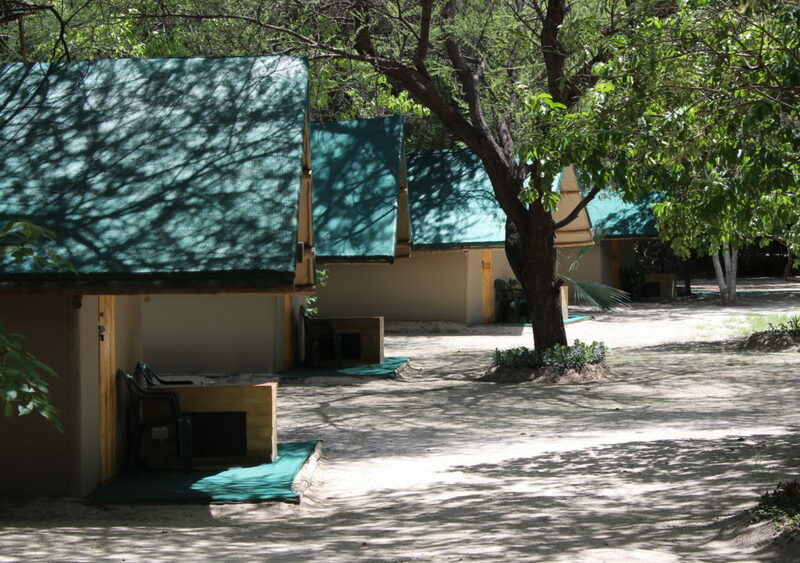 Maun Rest Camp accommodation | Riverside selfdrive campsite. 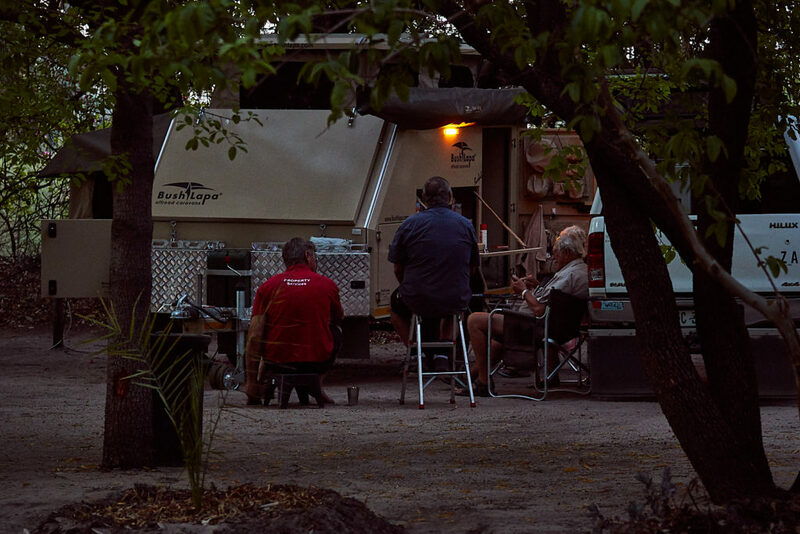 Set in a shady riverside garden Maun Rest Camp has always focused on travellers who are looking for a self drive venue with spacious self drive campsites that have fire places and power points. Some of our sites are situated on the riverside and others set back away from the river in our large shady garden. These sites have central ablution blocks that are always kept spotless. 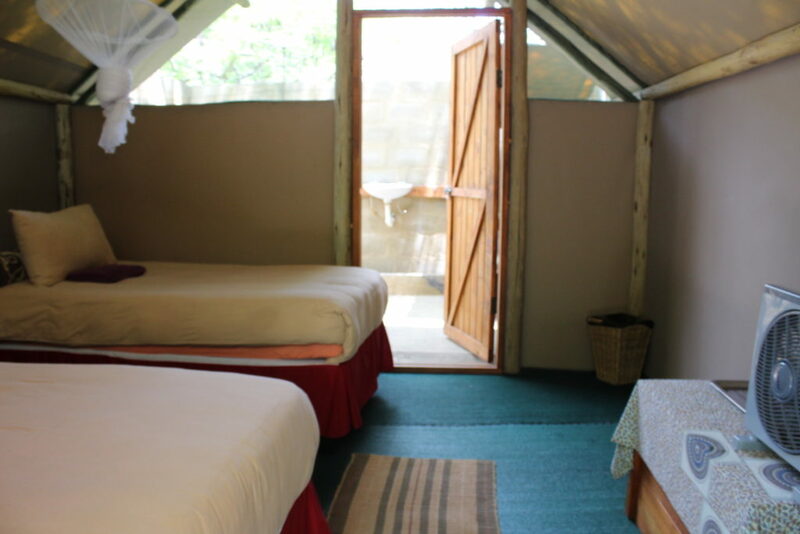 We have 4 furnished permanent standard tents with twin beds bedside table and electricity and 4 with their own en-suite showers and toilets.